It was Yorkshire’s cathedral to cloth, so it was appropriate, said the artist, that its first sculpture should share its heritage. The Blanket, a representation of traditional textiles, sewn from twisted metal, has gone on display at the restored Halifax landmark. 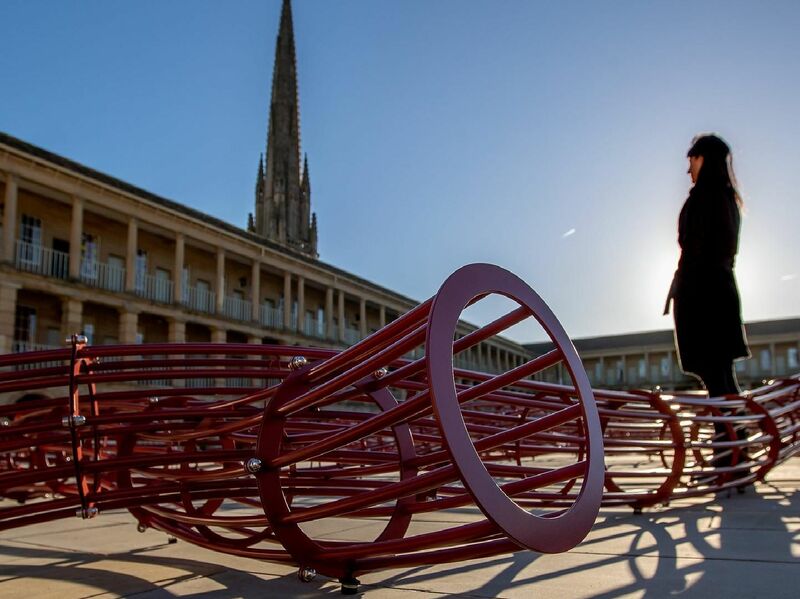 Commissioned from the Newcastle sculptor David Murphy and funded partly by the Arts Council, it will occupy part of the 66,000 sq ft piazza until April. Mr Murphy used steel tubes to create a 50ft-wide magnified weave of intercepting lines that form what he called a large picnic blanket. He said he had been inspired to create it by the architecture of the 18th century building.